When the eminent RMS Titanic was first put to use as a deluxe transatlantic passenger liner, White Star Line (the company that owned the ship) said that they produced by far the safest ocean liners in history. What happened to Titanic is a well-known story. An insufficient number of lifeboats caused the death of many poor souls, and a recent investigation has revealed that there might have been a fire inside one of the watertight compartments that weakened the body and allowed the iceberg to penetrate more easily. Titanic was one of a trio of ships dubbed the Olympic Class. There was a total of three ships in this class: RMS Titanic, RMS Olympic, and HMHS Britannic. 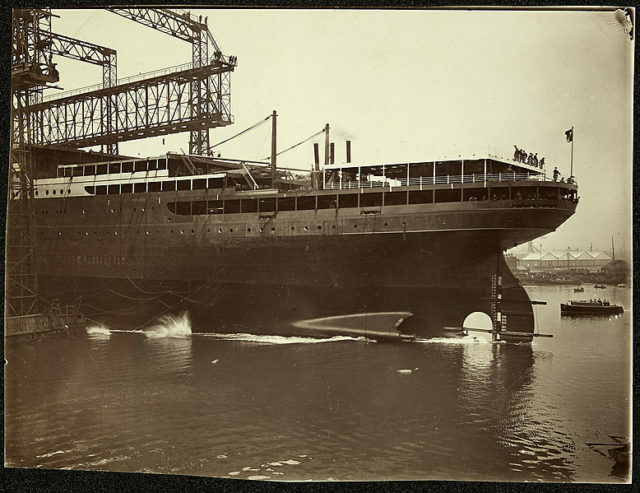 This latter one was the last produced in the line of Olympic Class steamships, and it was promoted as the safest and the largest of the three ocean liners. 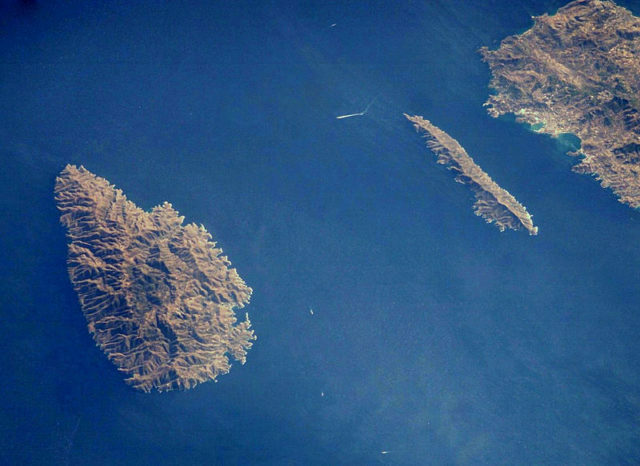 Once completed, it was bigger than Titanic and is said to have originally been called Gigantic. 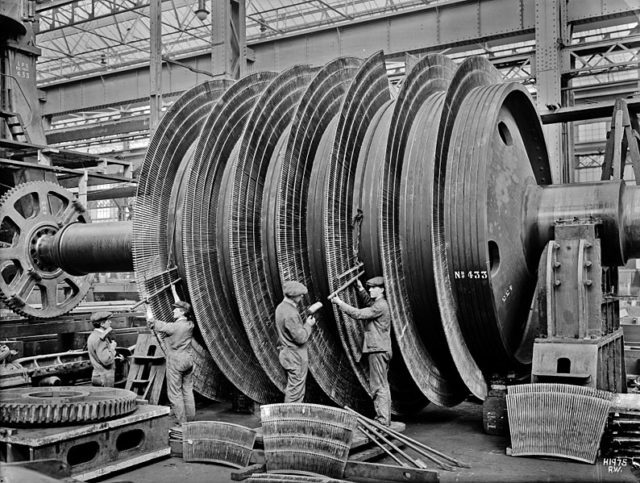 The Company responsible for the construction of the ship was the Harland & Wolff shipyard in Belfast. 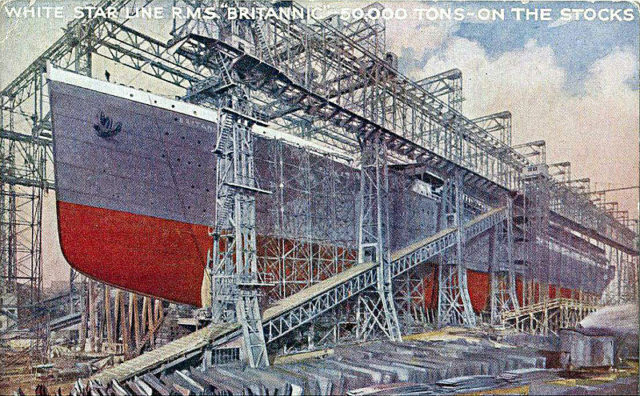 On November 30, 1911, construction began on Britannic with the laying of the keel. Several months later, in April 1912, Titanic hit an iceberg, got split in two, and sunk into its watery grave. 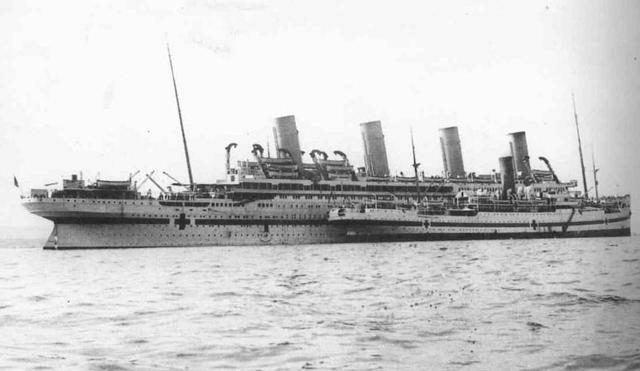 With the lesson learned from this disaster, Britannic’s design was reconsidered. Necessary adjustments were made and safety modifications were added. One of the reasons so many people died in the Titanic disaster was that there weren’t enough lifeboats. This error was fixed with Britannic and more lifeboats were added: an act that would prove crucial in the end. Three years later, in 1914, Britannic was completed. The ship was launched on February 26 that same year. The initial idea was for the ship to serve as a passenger liner. Unfortunately, tensions were brewing in Europe, and soon World War One was in motion. With this, Britannic was repurposed, and the 50,000-ton lavish boat soon became a hospital ship. 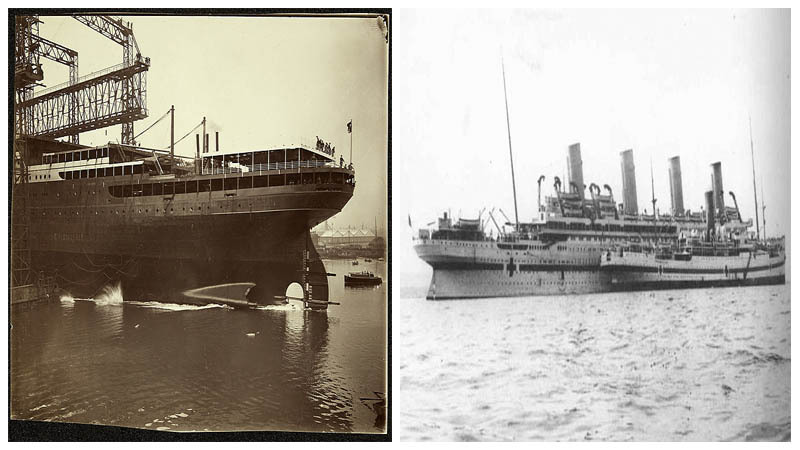 Her sister RMS Olympic was redrawn from service on November 3, 1914, in an attempt to save the ship from the dangers of war; nonetheless, she was called to service in 1915 and served as a trooper ship. 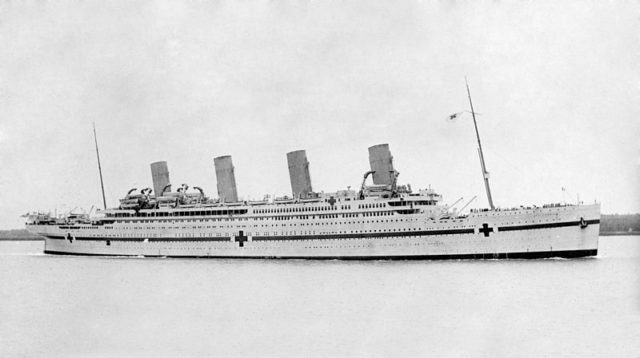 Now named His Majesty’s Hospital Ship (HMHS) Britannic, she made a total of three expeditions to the Mediterranean. She entered service in May 1915 – the same month and year that RMS Lusitania was torpedoed by a German U-boat, killing 1,198 people on board and resulting in 761 survivors. On April 12, 1916, Britannic was called out of service and was docked. It didn’t take long for the ship to be recalled, and this happened on August 28 that same year. She made another two successful trips, bringing the number up to five. Given her size, Britannic took care of 3,300 wounded soldiers, who were taken care of by 52 doctors, 101 nurses, and hundreds of crewmembers. On one her six expeditions, however, things took a different turn. 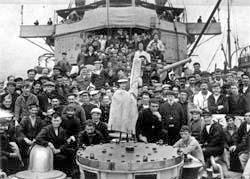 Departing from Southampton on November 12, 1916, with 1,066 people on board, she hurried towards Naples. On November 17 at 7 am, she arrived at her destination to load coal. Bad weather forced Britannic to remain docked for three more days. She finally left the port on November 20. One day later, she was ready to enter the Kea Channel to pick up wounded soldiers. Something unexpected happened at 8:12 in the morning. A violent explosion shook the ship, throwing her bow into the air until gravity pulled it down and slammed it hard against the water. Her whole body was shaking. 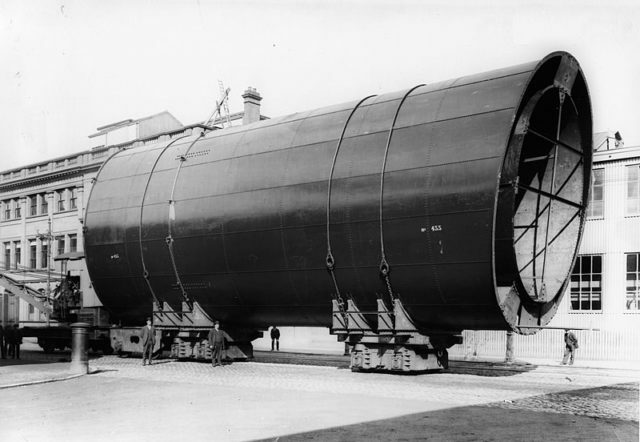 The cause of the explosion was an underwater mine that had put there by a German U-Boat. Less than an hour later, HMHS Britannic was underwater. Miss Violet Jessop, a nurse that was one of the survivors of the sinking of RMS Titanic, was onboard at the time. She was also onboard RMS Olympic when it collided with HMS Hawke. Miraculously, she also survived the tragedy of HMHS Britannic. To this very day, HMHS Britannic is at the bottom of the Aegean Sea at a depth of 400 feet and is listed as a British war grave.